It's December - YAY! My favouite month! But with December beginning it also means we say goodbye to November. So of course it's time for another favourites post. 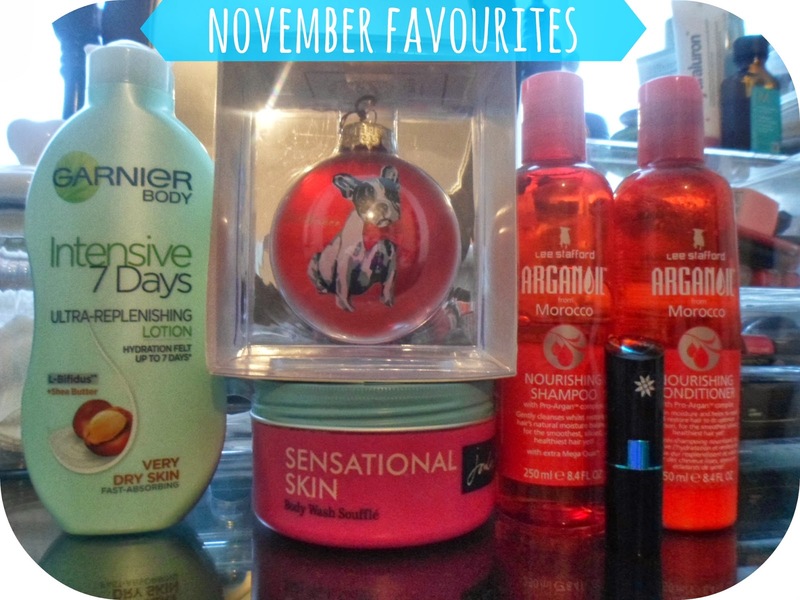 Alot of products I have been loving this month I have already shared with you in previous months, so not too many products to share with you guys today! I had totally forgotten I had bought this stuff back in the summer when it was offer and seeing as the description is for 'very dry skin' when I saw it I thought it was worth a go. Low and behold this stuff has worked like a charm, totally healing my skin! It smells lovely too and sinks straight into the skin which is fantastic if you're in a rush! Next is a product from Joules. This is product from the Terrific Treats Bath Wash Trio gift set which I recently did a review of (here). This stuff is body wash souffle - and this is not just your normal body wash/shower gel right here - this stuff is amazing. 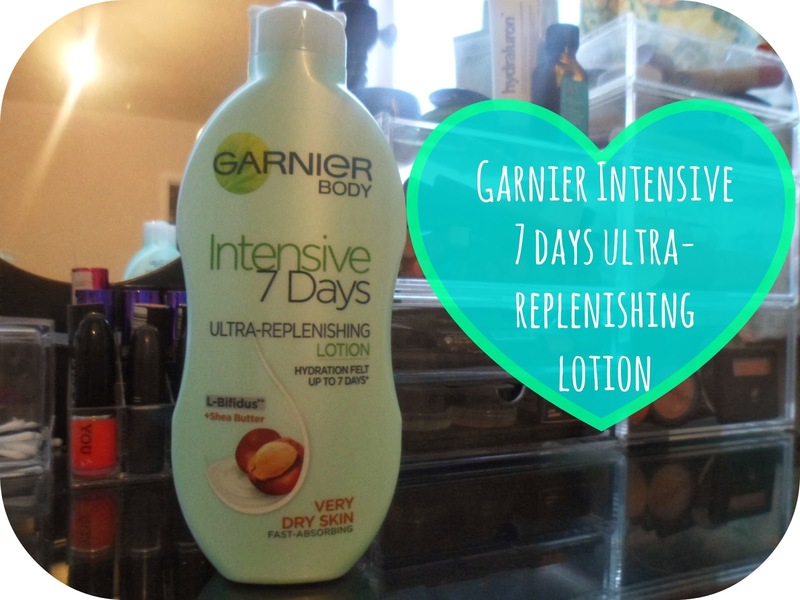 It is a thick creamy substance and lathers up in seconds, it is like conditioner for your body and I have been loving how soft/smooth it makes me skin plus it smells lovely! I am addicted! When my lovely Mum recently told me she'd bought me a little something I had no idea it would be Christmas related! I LOVE Christmas and with this being my first ever Christmas not living at home I couldn't wait to start getting bit for my own place! 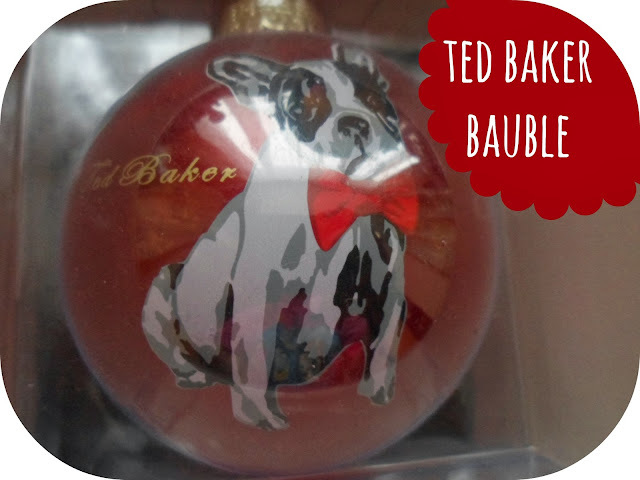 This is bauble from Ted Baker and I love it! I love french bulldogs and just think this is so cute - it seriously got me in the festive mood - thank you Mum! Another Lee Stafford product? Why yes it is! 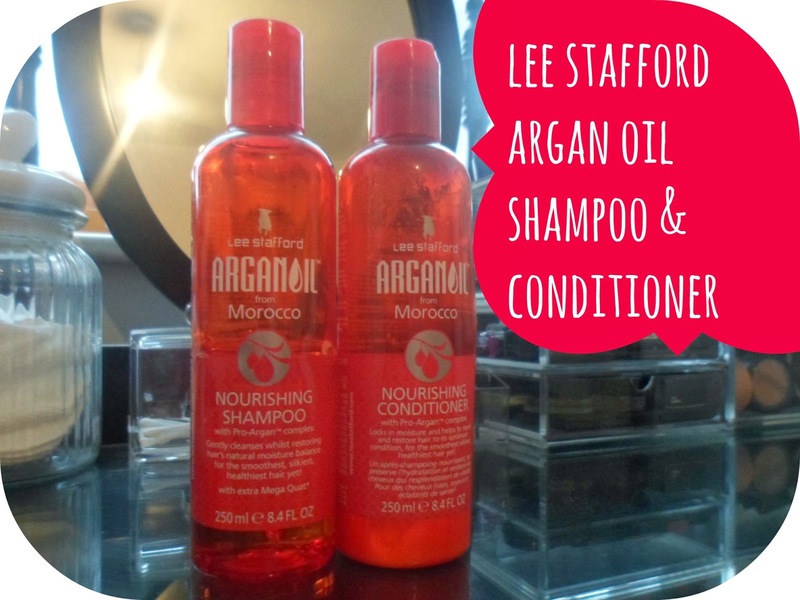 These are the Argan Oil Nourishing Shampoo & Conditioner and I have been using them for the last month or so! A little more expensive than the usual range from LS but I thought I'd treat myself when they were on offer - 3 for £20 (I also got the treatment). The words argan oil definitely swayed me to try these and they have been fab! The shampoo is relly thick, it worried me at first but using both these together leaves my hair so soft and feeling lot stronger - paired with my morocanoil this is a great haircare routine! Okay so this is my favourite lipstick at the moment! 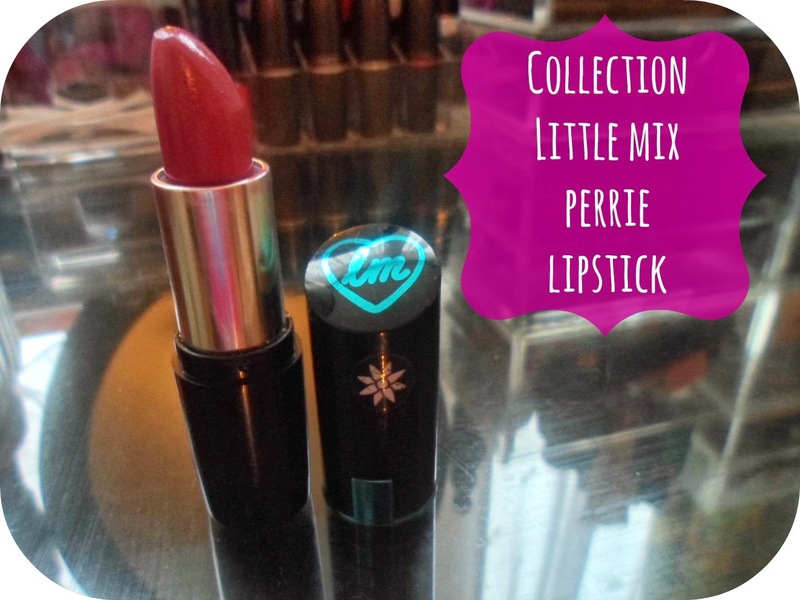 The Perrie lipstick from the Little Mix collection at Collection (formally Collection 2000!). I don't think this photo does the shade any justice at all... damn you winter and your rubbish weather/lighting! It is an amazing purple colour and I have been wearing it non-stop throughout November! Unfortunately I've heard it is sold out at the moment which just makes me wish I had bought more than one! Little Mix - Salute : This has GOT to be my album of the month I have been listening to it non-stop! I such a fan of both their style and their music and this album is amazing! If you've liked any of there previous songs you'll love this! I love Move, Little Me, Competition & These Four Walls. Now I reeeeeeally want tour tickets! Ja'mie Private School Girl : If you know me then you know I am the biggest fan of We Can Be Heros and Summer Heights High - I have been obsessed with them ever since watching them years ago. 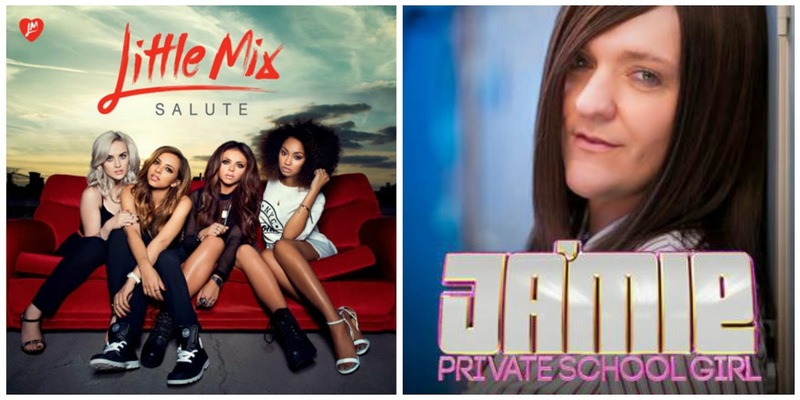 So when I heard that god Chris Lilley was making another series with Ja'mie I was so excited. Private School Girl has been hilarious and I am gutted that it has finished already! If you haven't seen any Chris Lilley shows before I seriously urge you to go and do it now! You won't regret it - full on lols guaranteed! I actually love little mix as well haha! تتشرف شركتنا شركة نقل عفش بالخبر بتقديم افضل خدماتنا فى نقل الاثاث لان عمليه نقل العفش مكلفه جدا وتحتاج الى مجهود عالى وقد تضر بالاثاث والعفش بجميع انواعه وقد تؤدى الى تكسير الزجاج مثلا وهذا لان كافة فريق العمل مدرب ومجهز لاداء الاعمال بكفأه عاليه من كهربائيين الى الفنيين لان عمليه النقل ليست بالعمليه السهله التى تحتاج الى اى عماله لاتمام عمليه النقل فالفك والتركيب يحتاج الى متخصصين لاداء هذه العمليه بكل كفاه وفاعليه نقوم بعمليه النقل بمنتهى السرعه فور تواصلك معنا وهذا لضمان راحتك ورضائك عن كافة خدماتنا عزيزى العميل كل ما عليك هو التواصل معنا نحن شركة نقل اثاث بالخبر لكى تتعرف على افضل خدماتنا وطرق تنفيذها من الحضور وعمل المعاينه والفك والتركيب والتغليف والتعبئه وكافه الاعمال المطلوبه نقوم بها فقط من اجل تحقيق رضائك عنا عزيزى العميل نعمل على توفير كل الاجهزه المتاحه والحديثه التى تجعلك تقوم بعمليه النقل بمنتهى السهوله مثل الاوناش والرافعات التى تضمن نقل العفش فى حاله وجود السلالم الضيقه وهذا لضمان عدم حدوث اى خدوش او تكسير للعفش والاثاث وجميع المنقولات عزيزى العميل كل هذا واكثر تجده معنا نحن شركة تخزين اثاث بالخبر فى انتظار مكالماتكم من اجل تحقيق الراحه والاستقرار لك فهذا هو هدفنا الذى تقوم على اساسه كافة اعمالنا فق من اجلك عزيزى العميل .